Here are some great Carpet Cleaning Spring Tips for residents in Hoover, AL. If you are in the cleaning mood, and need some help with the best ways to clean, check out these tips. 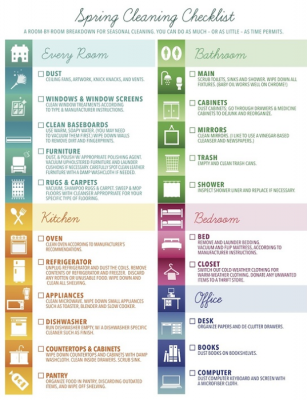 Here are some great tips for any room in your home. 1. Dust thoroughly – When doing a thorough cleaning, make sure you pick up and move items. Dust the item and the surfaces as well. Don’t forget to dust ceiling fans, artwork, knick-knacks and vents. 2. Clean Windows and Window Treatments – Follow the manufacturers’ instruction for cleaning blinds and draperies. Also wash the window on the inside and outside. 3. Clean Baseboards and Walls – Don’t forget to dust of vacuum the baseboards first. Then, wipe them with a damp rag. Also, wipe down the walls and wipe the molding around doorways and entrances. 4. Dust and Clean Furniture – Dust and polish wood furniture. Vacuum upholstered furniture such as sofas, love seats and chairs. If you can wash cushions wash them. If you need help with cleaning any upholstered furniture, call Heaven’s Best Carpet and Upholstery Cleaning at (205) 618-9150. We clean couches, love seats, chairs and even mattresses. If you are not sure how to clean them, give us a call. We know how to check the type of fabric to ensure you are using the proper solutions. Also, we often have specials on upholstery cleaning, so we can definitely clean them for you and save you the hassle. 5. Clean Carpets and Floors – This is where Heaven’s Best Carpet Cleaning can really be a big help! We clean carpets, rugs and all types of floors including hardwoods, laminate, and tile and grout. If you don’t have time to clean these yourself, call us at (205) 618-9150. We have great carpet cleaning specials and we will vacuum and professionally clean all your carpets, rugs or floors. Our carpet cleaning specials include commercial vacuuming, pre-spray and pre-spotter, our unique Heaven’s Best Carpet Cleaning Solution and FREE CITRUS DEODORIZER. Call us today at (205) 618-9150 to find out our current special. We have the best rates in Birmingham and we also use a low-moisture process, so your carpets won’t take days or even hours to dry, they will be dry in about 1 hour. Try these great Carpet Cleaning Spring Tips in Hoover AL, and call Heaven’s Best if you need help with your carpets, rugs or upholstery.